Star Wars just wouldn’t be Star Wars without lightsabres and now you can have them all on one mug. 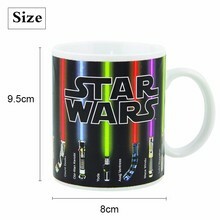 From Yoda to Vader all of your favorite Sith and Jedi’s weapons of choice are portrayed on this unique mug. 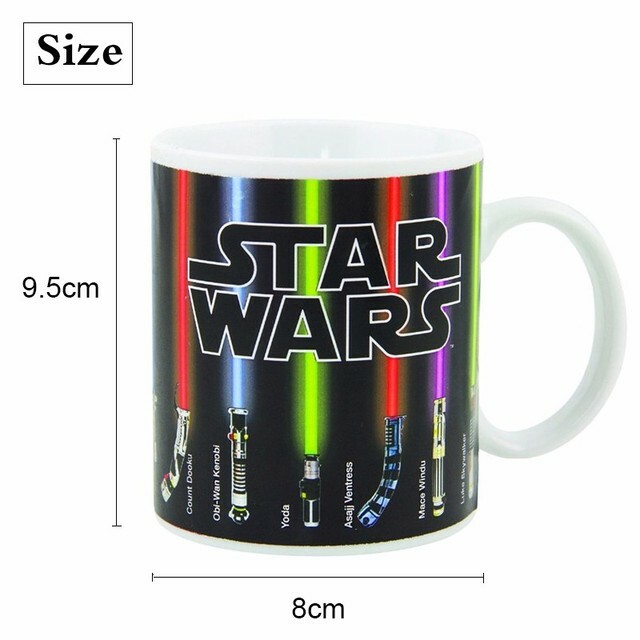 Not only does it look cool but fill it up with a hot drink and watch the lightsabres activate before your eyes. 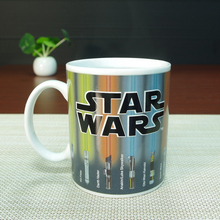 This mug is a must-have for any Star Wars fan and you don’t even need to be a force user to use it. 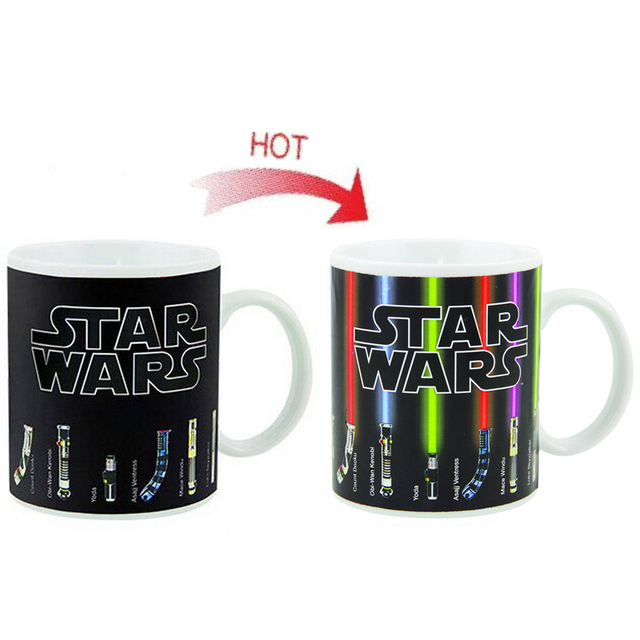 It is totally mesmerizing to see this magic effect of color change while drinking coffee, makes you and your friends amazed. 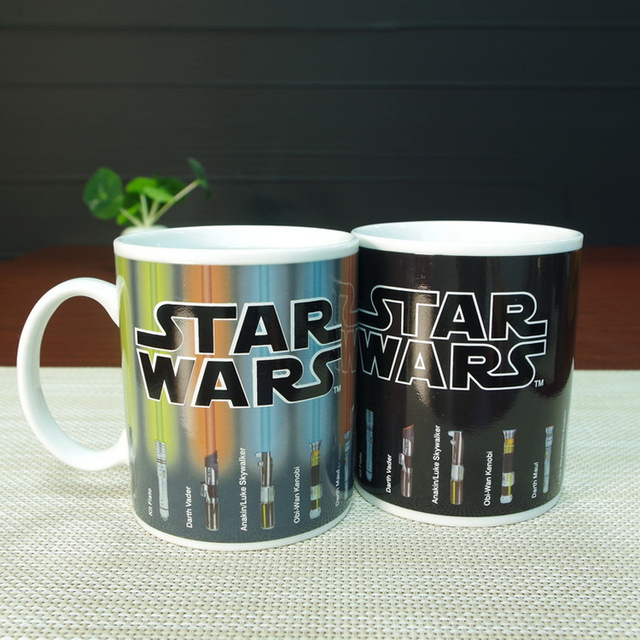 One of the best gift items for any Starwars lover and a must-have the item in your room or on your office desk. 1 suitable for use in dishwasher or microwave applications. 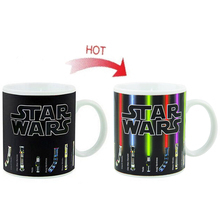 3 pay attention to hot water!